I was blown away. Only four years old, she hadn’t heard this expression before. It was one of those moments when you feel like you are just totally winning at the parenting thing. And it stuck with me for the greater picture of raising a girl. – This is an excerpt from Mark Loewens blog. Mark Loewen is a psychotherapist and a dad. He was born in Asuncion, Paraguay and moved to the United States to pursue his counseling career. He met the love of his life shortly after finishing graduate school. A few years later, they became dads through open adoption. Becoming a father to a girl further opened Mark’s eyes to the challenges many girls and women face in today’s world. 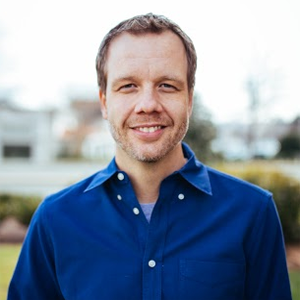 Mark is the founder of LaunchPad Counseling, a private practice in Richmond, VA. He also started Brave Like A Girl, a website that helps parents who are raising Brave Girls. With his book, “What Does a Princess Really Look Like?” Mark hopes to add more representation of diverse families in the kid’s literature, by featuring two (gay) dads. You can Find Mark’s Book here: WHAT DOES A PRINCESS REALLY LOOK LIKE?